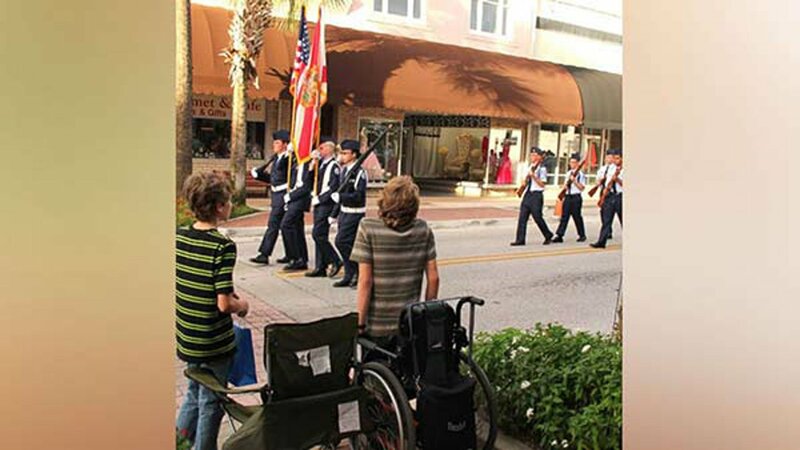 LEESBURG, Fla. -- At the sight of the American flag, a teenager who is bound to a wheelchair hoisted himself up to pay homage. While watching a homecoming parade, Arek Trenholm used his arms to rise up out of his wheelchair as the junior ROTC marched by waving the red, white and blue. The 16-year-old was born with a condition called spina bifida, which impairs the development of the spinal cord. He has been wheelchair-bound for the last 10 years. 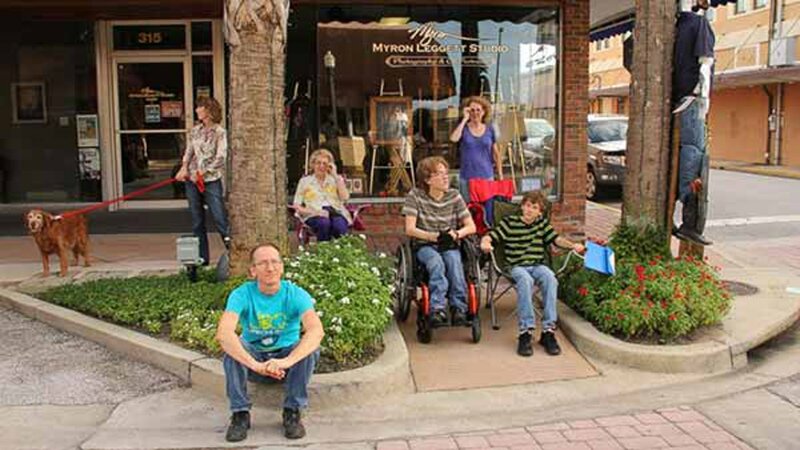 He happened to be watching the parade in front of his uncle's photography studio in Leesburg, Florida. "My sister just called out, 'He's standing!' And instantly, I knew what he was doing," his uncle Myron Leggett said. Leggett captured the moment and posted the photo to his Facebook and received many comments applauding Arek for his show of respect. "He didn't have to do that. He has an excuse to stay seated," said Leggett. "Nobody told him, nobody encouraged him and he did it on his own. I admire him for that and I'm very proud of him." Arek's mom said he has been standing for national anthems, pledges and flags since he was very young. She said always chooses leg braces with the American flag on them and now has 10 pairs.